This fun gift giving idea may look like just a ball of yarn, but it's really a bunch of little gifts wrapped layer by layer. 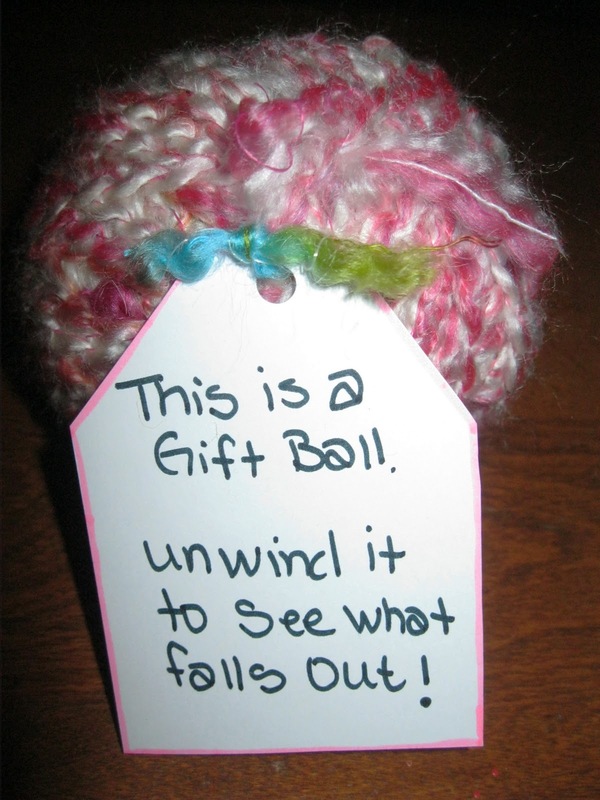 The recipient has to unwind the entire ball of yarn to receive all the gifts that are hidden inside! This is a fun idea for Mothers or Fathers day, graduations, birthdays or anytime! (I can totally see a bunch of fishing lures and supplies wind up in a ball of twine or fishing line, for Fathers' day). You don't have to use any special kind of yarn or string and in fact can keep layering and using different materals such as ribbon, jute, etc. if you'l like. You'll want at least enough to make a large grapefruit or small melon sized ball. I used two kinds of yarn. I ran across this idea at a great site called gomakesomething.com, you should check them out. Gather any amount of small gift items that you'd like. I used 6-8 items I think. 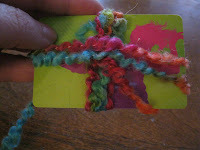 Start with your biggest item, in my case was a gift card and start winding the yarn around the item. 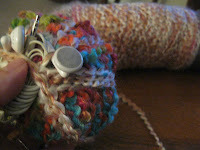 Jan's tip: In the middle of this project, you'll think, it's not coming together in a ball shape. Keep going! Because we started with the biggest most awkward shapes first it'll take a while before you can start to round it out a bit. The more yarn and more layers the more the ball will take shape. Continue wrapping and shaping the gift into a ball shape, adding gifts as you desire. Also feel free to change types of yarn/ribbon etc anytime during the process. 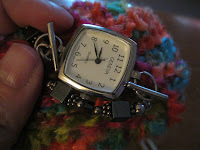 I chose to tie the two ends of the different yarns together, but you don't have to. Here's my finished ball. I made a small gift tag and tied it near the end of the piece of string. 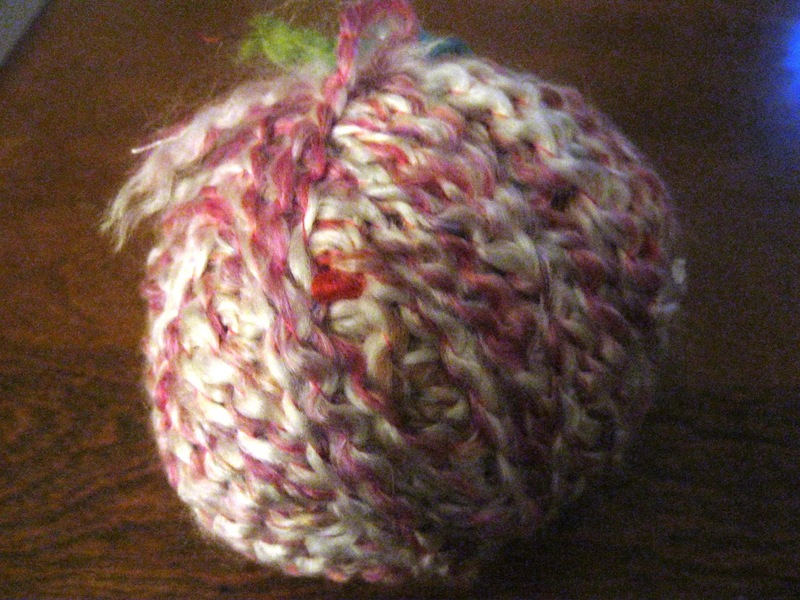 I just tucked the end of the string in a small loop under another piece so they could find it easier, but you can hide it by tucking it into the ball if you'd like. yeah, that would be me too! 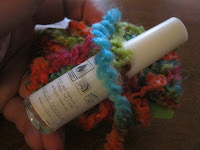 I can't wait to make one, i have a daughter who loves to crochet, so she can always use the yarn too! This is a fantastic idea for wrapping a gift. I have never seen it before. I will have to remember this. Thanks for taking the time to send me a nice comment today! I love your idea of the pebbles, I'm going to have to remember that one! You ARE tricky! Found your site via Reuse, Reduce, UPcycle. I've pinned this idea as I love to aggravate people and make them work to unwrap. Since you have so many tips on your blog I've enJOYed, I'm becoming a follower. I'm so glad you found me and that you enJOYed a few things! I'm popping over for a visit to you! How clever - it would be such a blast to watch my kiddos unwrap it! This is great, everyone would love this. Thanks for the kind words, Jan! I have a few adults in my life too. Party poopers! Glad you liked it though! Thanks for taking the time to send me some feedback! Love it . . . thanks for the fun idea! Congratulations!! You are featured this week on Busy Monday at A Pinch of Joy! What a fun way to give small sized gifts! I hope you will stop by and grab a Featured Button from the Button Box on the sidebar. Can’t wait to see what other projects you’ve been working on — hope you will link again soon! Charlene, how exciting! Thank you very much for featuring my post! I will grab a button and meet you again at your next linky party! That is so funny, I can see that happening! I must do this for my friend who knits now just to see what happens! This would be a great idea for my sister in law... she's a knitter and would probably think the yarn was the gift, until she sees the tag! Great idea!! 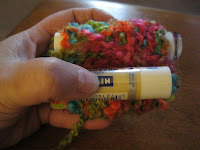 I wonder if you you could do that with big bubble wrap instead of yarn for mailing? I have family out of state and want to send what would be the "big item" and it's a manicure kit in a mason jar (another pinterest goodie). This is such a cool idea! I don't see why not! Just cut it into smaller "strips" or Crepe paper might work too! I love your gift idea, I am obsessed with mason jars! I remember doing this as child, but only once. Then I had forgotten all about this until I came across this at Pinterest. It brought back fond memories. Now I am excited to know how to do this so I can pass this onto my grandchildren. Thanks for sharing! glad you found it! Have fun with the idea. Awe......I LOVE IT!! That is such a cute idea...a Great idea! Thank you for sharing!!! Fabulous Idea , Im making some for on-line friends who I have address already as I want them to be "Surprised "
Love this ideal! I hope to use it for some 2016 wrapping! TFS! Using this for my stepson's 13th birthday this weekend. It will be full of cash(he's 13- that's all he's into, lol) & I plan to make it HUGE! How fun! He'll LOVE it! When I was a chuld in the 1950s/60s, you could buy similar balls wrapped in crepe paper strips, with small trinkets uncovered as you unwrapped. How fun! What a fun memory! Thinking of using this idea to hide my kids atv keys in this Christmas! Tie the beginning to the tree and have a trail right to the shed with a ball wrapped around the key! !